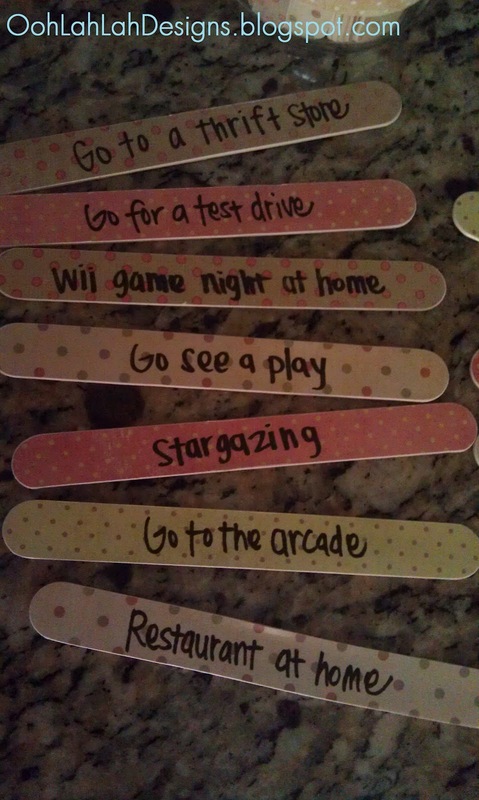 I glued scrapbook paper to the popsicle sticks for some flare (because I am crazy like that!) 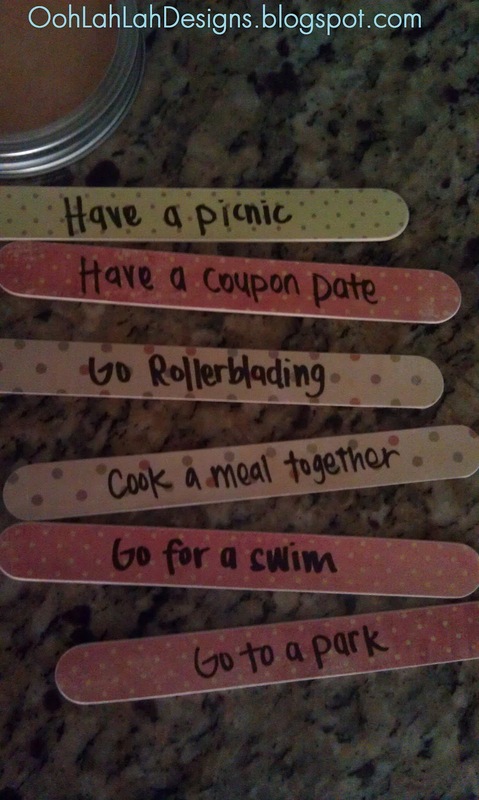 and wrote one idea on each popsicle stick. 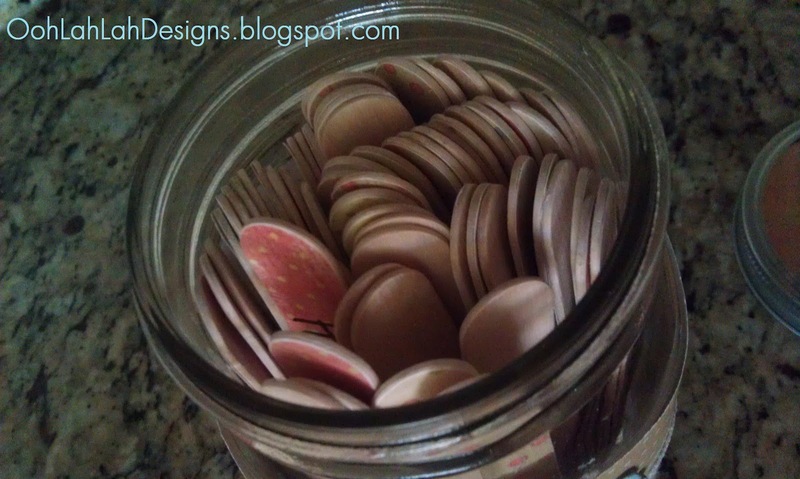 Here are some of the ideas. 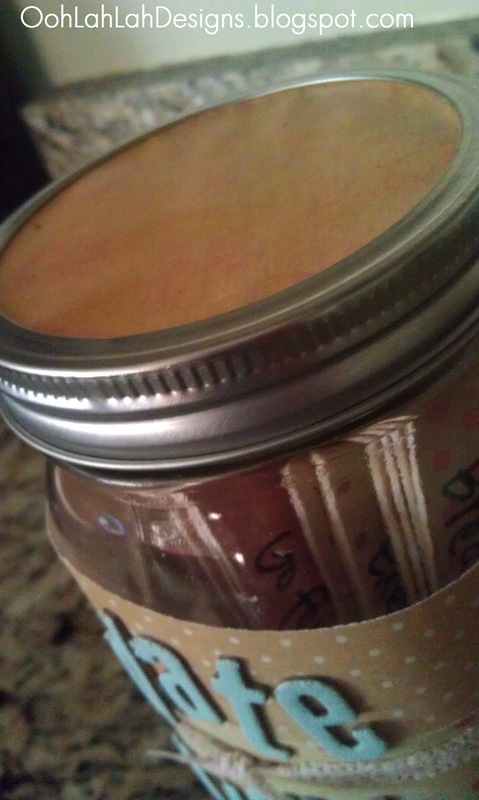 Some I got off of the Internet; others I made up myself. 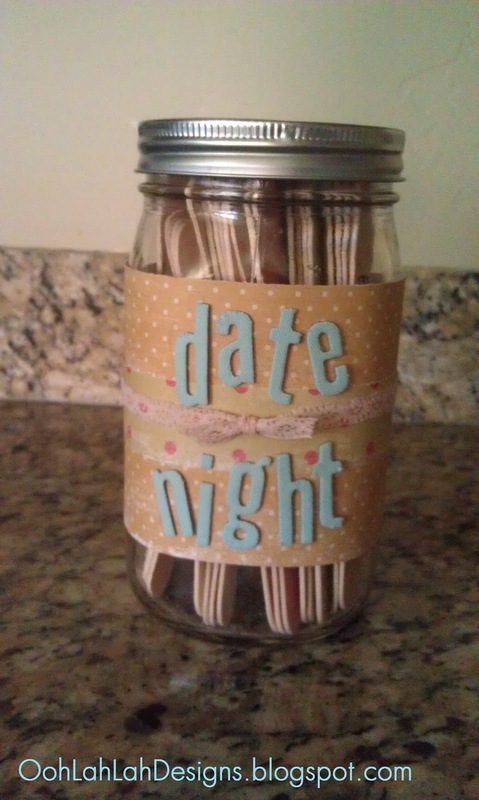 I put about 60 sticks in the jar! 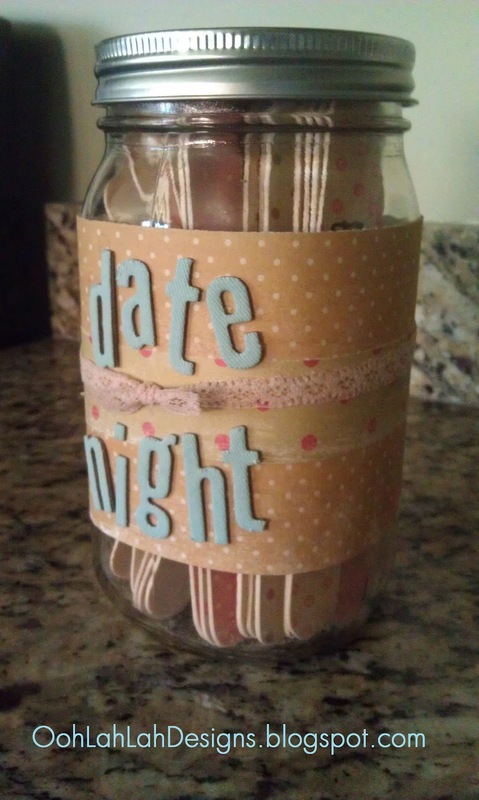 UPDATE: 5 years later we STILL love our date night jar! !